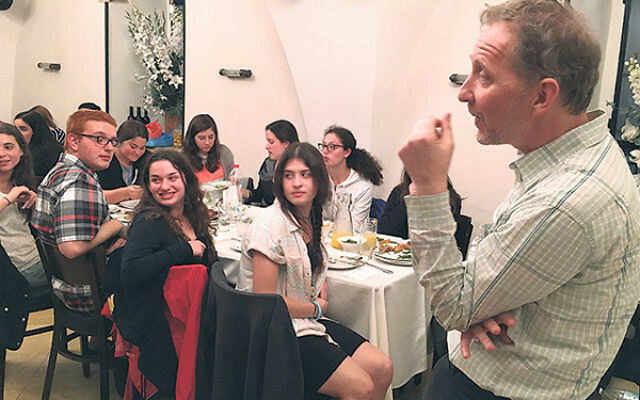 TEL AVIV — On the final evening of their eight-day trip to Israel, the 43 students of Write On For Israel, including seven students from Greater MetroWest, began to understand the challenge that awaits them as future leaders of the pro-Israel community on campus. Speaking with David Horovitz, founding editor of The Times of Israel, they were told there was nothing easy about explaining the current situation in the Middle East. “If you had a moment of clarity about the Middle East during your visit here, you’re delusional. The reality is far more complicated,” said Horovitz. Thus concluded a week-long, issues-driven mission to Israel, the culmination of a two-year Israel engagement and advocacy program sponsored by The Jewish Week of New York and the Community Relations Committee of the Jewish Federation of Greater MetroWest NJ. The goal is for participants to take with them to the university campus the information and skills they learned during the two-year program and make a positive case for Israel. During an intense fact-finding mission last month, starting in the North and ending in Jerusalem, the WOFI group met with key Israeli journalists, including Horovitz, Khaled Abu Toameh, and Yossi Klein Halevi; Arab affairs expert Ehud Yaari; Palestinian academic Dr. Nafez Nazzal; Daniel Gordis, senior vice president and the Koret Distinguished Fellow at Shalem College; and Israel Defense Forces officers and soldiers. 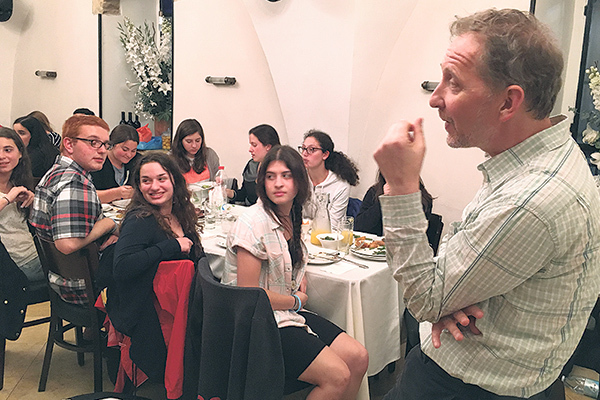 This year students learned lessons in leadership at a program run by the Neot Kedumim nature reserve that uses sheep-herding as a model for organizational theory. They traveled to the Rabin Center in Tel Aviv to learn about the life and legacy of the slain Israeli Prime Minister Yitzhak Rabin and heard from IDF spokesman Lt. Col. Peter Lerner on how his team maximizes social media to portray the IDF as a humane army. On Feb. 16, WOFI partnered with The Lone Soldier Center in Memory of Michael Levin to provide a barbecue dinner for soldiers from Australia, India, New Zealand, South Africa, the United Kingdom, and the United States. On a visit to Save a Child’s Heart at the Wolfson Medical Centre in Holon, the WOFI group met with a Jewish surgeon and an Arab social worker — both Israeli — who work side by side. SACH provides life-saving cardiac surgery and other life-saving procedures for children from developing countries free of charge. The CRC underwrites the cost of participation for students in Greater MetroWest. Generous support has been received from the Iris Family and Herb and Milly Iris Youth and Family Philanthropy Endowment, Klinghoffer Family, Cooperman Family Fund for a Jewish Future, Curt C. & Else Silberman Philanthropic Fund, and Archie Gottesman and Gary DeBode. Below are excerpts of accounts of the trip by four of its participants.